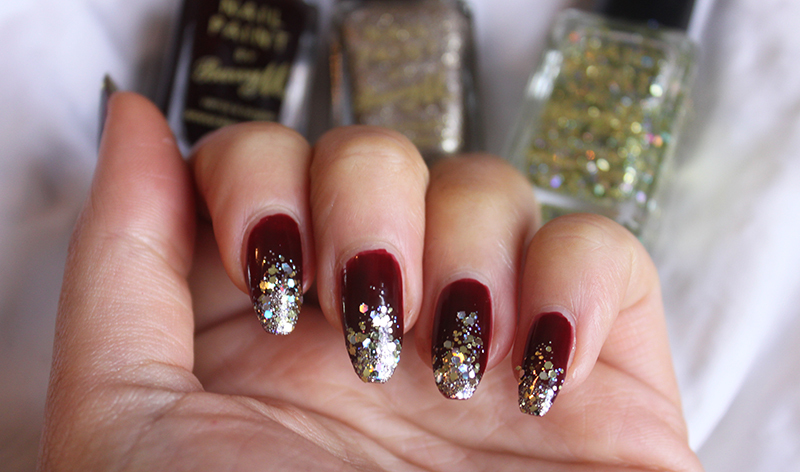 Been getting into the spirit of Christmas and I can’t get enough of glitter nails however I can’t believe how easy and cute these House Of Holland Elegant Touch Christmas Nails are! For the glitter I used my usual Barry M polishes in Majesty and Yellow Topaz Glitter as they are just the perfect gold glitters. 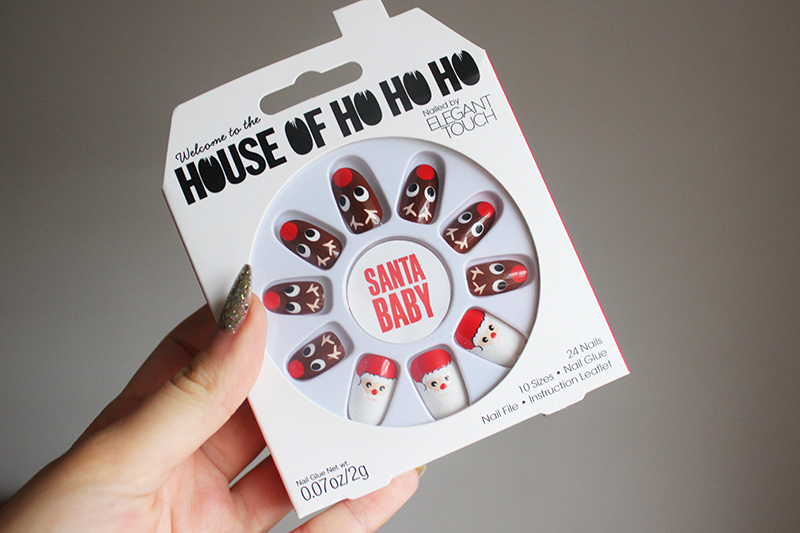 However I think the House of Holland Nails are my favourite as they’re fun, festive and easy to apply. They come with 24 nails in a range of sizes, I ended up using just the reindeer ones as they’re a little smaller but I think Father Christmas is equally as cute! 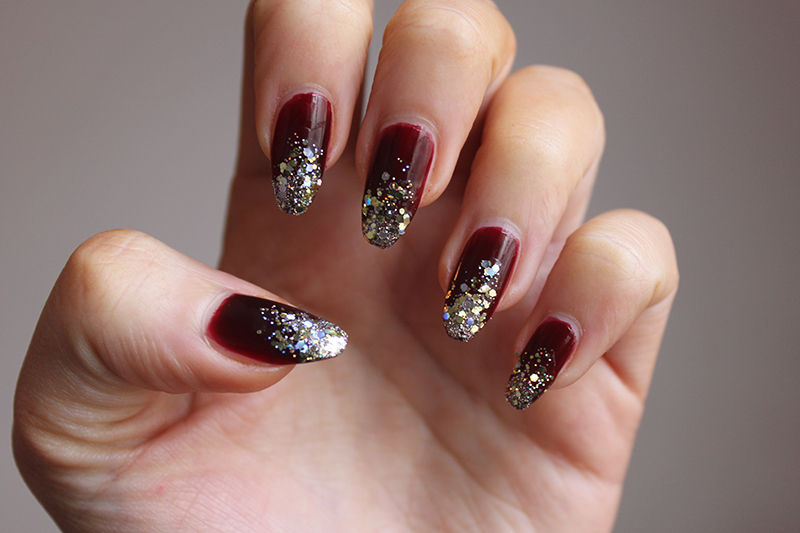 What are you planning to have on your nails this Christmas? I wanted to make this ManiMonday some what festive but I’m not really into Nail Art at the moment so I decided that glitter was the way to go. I actually featured a similar look last week just using different colours but I think glitter is so fun and perfect for Christmas! Once again I got out my Barry M nail polish box and pulled out a few colours, I was thinking of using a base black but I decided to go for Barry M Red Black instead. It’s a beautiful festive dark red as the name would suggest but a little less harsh than black. 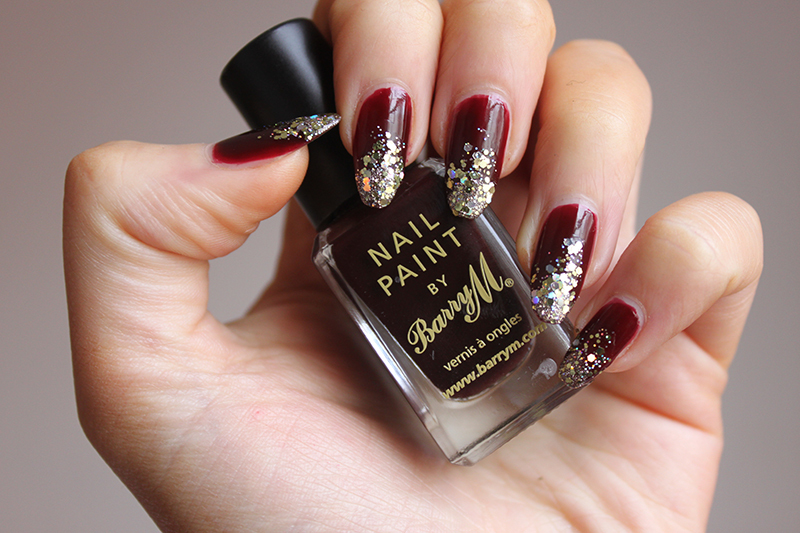 On the tips I used Barry M Majesty and than over that I went for Barry M Yellow Topaz Glitter- no one does glitter like Barry M! What do you have on your nails at the moment? 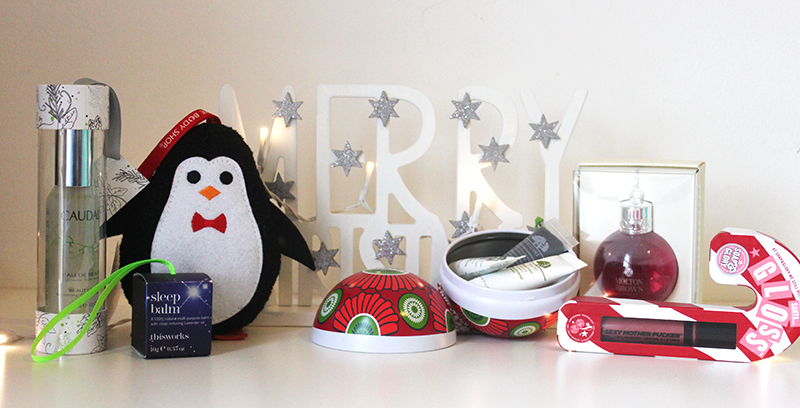 For the last three Christmas’ I have spent December patiently waiting for Boots and Soap & Glory’s half price offer, hoping someone would know and I would find it under my Christmas tree. If you get as excited as me I am pleased to tell you that The Next Big Thing By Hattie Stewart Soap & Glory better than half price box is out Friday! 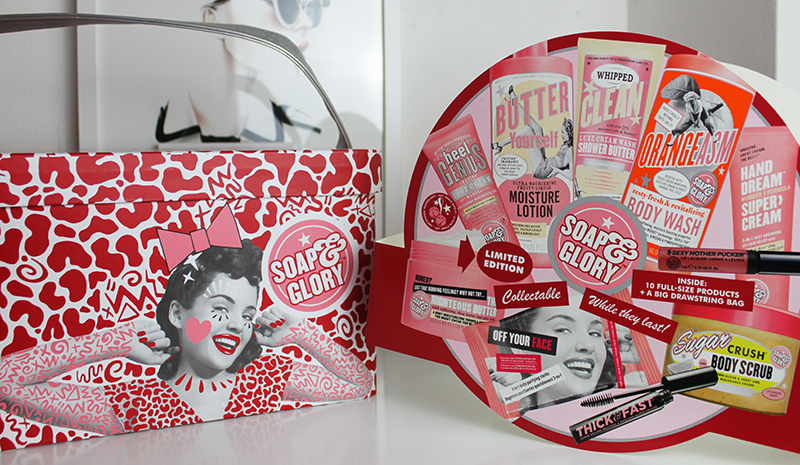 Inside are ten full-sized Soap & Glory products, available in two Limited Edition cases designed by London based fashion doodler- Hattie Stewart! One print will be exclusive to Boots.com and the other exclusively in Boots stores. I’m not sure how Christmas has some around so quickly but it has! 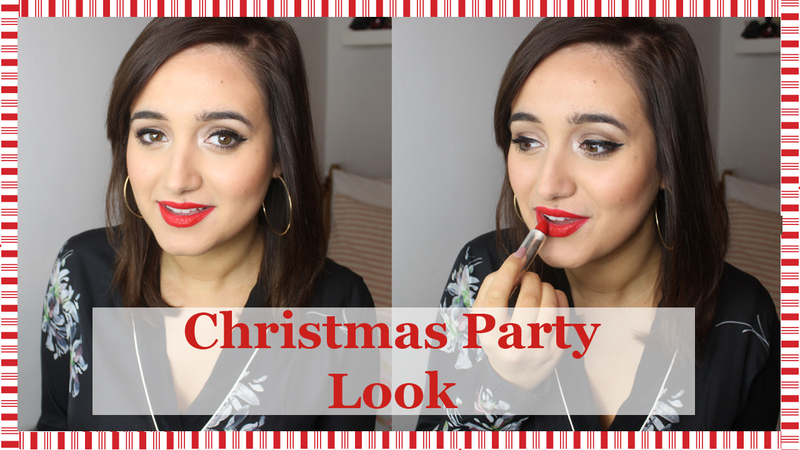 Christmas parties are now in full swing so I thought I would share with you my go-to party look of the moment. I simply can’t get enough of red lipsticks and it just look so put together and festive in my opinion. There are few things a good red lipstick can’t fix!